BioLife Organic beauty salon provides the highest quality organic skin care treatments and services to help you look glamorous and feel relaxed. Allow this quality skincare to restore skin balance, enhance skin radiance and complexion. Choose a treatment suited to your skin and leave with skin glowing from the inside out! Choose a treatment suited to your skin and leave with skin glowing from the inside out! Includes professional grade concentrated Eminence Skin Care Facial Booster Serum for enhanced results. Each of our specialized organic facial includes a hand and facial treatment to ensure the most relaxing experience possible. 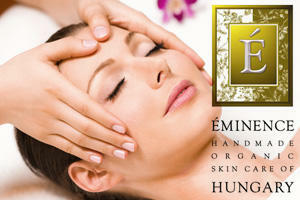 We proudly use organic and Biodynamic Eminence Organic Skin Care Products. Thermojet Morfologic is an ideal equipment for treatment of overweight, cellulite, muscle aches and joint and therefore certain inflammatory processes. It emits infrared rays with a frequency of 8,000 Angstroms. This energy penetrates to the subcutaneous fat, stimulating the metabolism of the fat cells and improving the circulation. The infrared rays increase the body temperature, stimulating cellular chemical and metabolic reactions globally. This causes the fat stores to be used up with a consequent loss in weight and bulk. Organic body wrap helps removes dried skin and dead cells with the use of organic fruits and herbs. Aromatherapy can improve emotional state from depression and difficulty in concentrating. Helps with skin condition like acne, eczema, psoriasis, cellulite. Induces tranquil for cases like insomnia and mood swings.Treats cases related to the skin inflammatory conditions. Respiratory related cases like flu, bronchitis. Also used to help ease pain on sprains, muscles tension and strain. The Detox Foot Spa is designed to relieve many bodily strains and detoxify the body through the skin, the largest organ in the human body. Detox Removes toxins and body waste products that can cause health problems • Heavy metal removal • Increased oxygen levels and energy • Improved sleep and relief from tension • Positive effect on Immune System • Removal of waste products •Rejuvenates and energizes your whole body • Positive effect on weight loss • Slows down aging • Seasonal allergy relief • Symptomatic relief from edema, gout, swollen joints, pain and headache. Our beauty salon uses the finest natural cosmetic lines using cutting edge technology. 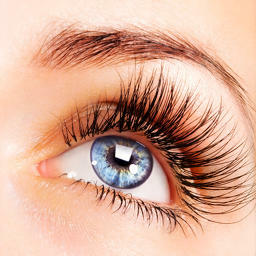 We add dimension and drama to your natural eyelashes. Your lashes will be thicker, darker and longer with this amazing procedure. Already curled perfectly, NO MASCARA IS REQUIRED!Eyelash Extensions are waterproof, sweat proof, and safe for sensitive skin!They last 3-6 weeks on the natural lash with proper care! This NEW trend is changing women's lives! Applied individually to either the eyebrow hair, or directly to the skin. 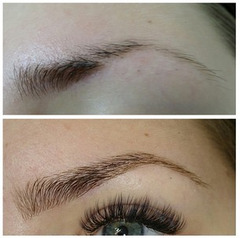 BioLife Organic Spa esthetician can transform any eyebrow into a perfectly sculpted eyebrow, in one appointment! Rectifeye Skin Adhesive is a FIRST in the cosmetic industry, and is developed using the same adhesives that have been used for wound closure by doctors for over a decade! Brow Extensions are waterproof, sweat proof, and safe for sensitive skin! They last 2-3 weeks on the skin with proper care! 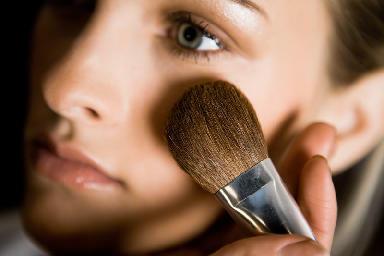 BioLife Organic Spa Makeup Artists are experienced in all aspects of media makeup: fashion, video and print. Our beauty salon makeup line does not block pores and acts as anti-inflammatories and antimicrobials. Airbrushed by hand. Sunless tanning products give your skin a tanned glowing look without exposing it to harmful ultraviolet (UV) rays. Our Beauty Salon members have been perfecting the art of airbrush tanning for over 10 years and pride ourselves in producing a rich radiant tan without the risk of sun damage or cancer. Our solutions are FDA approved DHA based products. BioLife Organic Spa use best quality a soy-based botanical, antibacterial & antimicrobial hair removal products. BioLife Organic Spa also specializes in Eyebrow & Eyelash Tint and Eyelash Perm. Service Policies and Guidelines: Cancellation Policy – There is a 24 hour cancellation policy. New Guests – Please arrive 15 minutes early to complete necessary paperwork for treatments.